A slight vibration reaches the edge of my consciousness, soon recognizable as the faint sound of a deep, rumbling engine. Still blocks away, this distinct composition whispers in my ear, "Harley-Davidson." There's no need for me to see the source; my ears can identify it without a shadow of a doubt. As the rumbling thunder builds, the sleek machine comes into view. The origin of our smiles comes from two entirely different places, mine from restrained envy and my wife's from the old "rebel" allure. As part of his visual declaration, he clothes himself in corporate branded black leather. Slowly parading by to enlighten us of his truth, "that the destination is less important than the style and fashion of the journey." His composed nonchalant presentation together with the unique thunderous melody from his "Hog," manifests a lightning bolt across my mind's sky, striking a tempting new image of myself, as a cool and collected Harley rider. 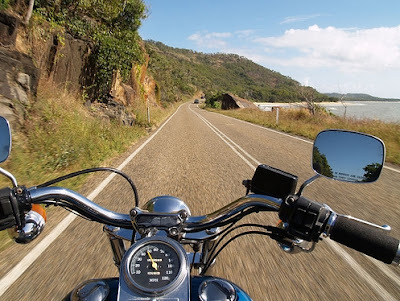 Harley-Davidson is a marketing phenomenon that provides numerous layers of valuable insight into branding. People will often pay far more for a Harley than for another quality machine. They'll seek out other owners to initiate clubs and associations. They'll tattoo their bodies with the Harley-Davidson logo. I'd say they understand how to create customer loyalty and relevant connections with people's lives. 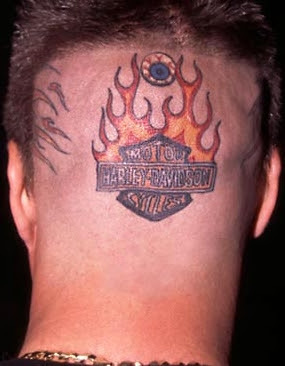 The fact of the matter is that Harley-Davidson understands that people are "statement makers." From the clothes we wear to the vehicles we drive, the people we vote for to the charities to whom we give our time and money, we constantly, and often unconsciously, live out this inescapable truth. The heavy-metal rock t-shirts I wore in high school have long since been discarded. This may be due in part to the fact that I am about 70 pounds heavier now; but even so, it would not be the statement I'd want to make to the world at this stage of my life. I'm talking about "heavy-metal rock," and not the "image of me in a undersized t-shirt." Like those t-shirts of mine, a baseball hat branded with "Greenpeace" or "NRA" creates an instant image and causes others to form decided opinions about the wearer. Similarly, a red ribbon on a lapel proclaims a distinct message. The premiums you offer your donors should do the same thing. The word "premiums" is the term our industry uses to describe the address labels, calendars and numerous other items we send to donors to encourage giving. When people connect with a charity, they are hoping to discover something profound. They want to connect themselves to something significant, something substantive, something that will continue on. People want to join others who share their values in a cause that can change the world. And through their support of the organizations they select, they hope to infuse their own lives with significance. As part of the selection criteria for your next premium offer, make sure the premium will help your donors make a statement about their support for you. Either consciously or subconsciously, donors are asking for these kinds of things because it helps them to communicate to the world what they value and believe are most important. If the premiums you're offering are not helping your donors become "statement makers," you're missing out on one of the greatest benefits offered by these tools. Furthermore, a bad choice in premiums can create an unnecessary giving dependence with donors to a whole bunch of stuff. A well-designed premium will not only create donor loyalty to your organization's mission, but will help the donor become a statement maker to the rest of the world on your behalf.